Troy - Helen Catherine Nold closed her beautiful brown eyes in the early morning hours of March 26, 2019, at the glorious age of 88. Born in Troy, August 17, 1930, Helen was the daughter of the late James and Margaret Liney. She was the adoring wife of the late Joseph C. Nold, and shared 58 wonderful years of marriage, before his passing in 2008. Together, they were blessed with four children, Charles Nold, Barbara Bonesteel (David), Rita Reilly (Timothy), and Joseph Nold Jr. (Jessica); eight grandchildren, Marjorie Pasinella (Dominic), Aliza Fane (Tyler), Donald Reilly, Helen Driessen, Erica Bonesteel, Charles Nold, Brennan Nold, and the late Leslie Loiselle; six great grandchildren, Tyler Bulson, Samantha and Halee Pasinella, Christopher Driessen, and Quinn and Quade Seib; her loving nieces and nephews, James, Peter, and Grace Liney, Patrick and Maureen Murray. She was predeceased by her brother, James Liney;, her sister, Rita Murray; her nieces, Helen Murray and Susan Liney, and a nephew, Glen Liney. Helen was a homemaker all of her life, and took great pride in keeping a tidy home, cooking delicious meals, and trying out new recipes for her family. She was an avid reader, loved playing cards and watching movies, and just recently discovered Facebook. She looked forward to Monday mornings, where she would play bocce with her friends. She enjoyed shopping, and had impeccable taste and a flair for fashion. She loved looking fabulous, and had matching earrings for every outfit. She took pride in always looking her personal best, and had lipsticks in every pocket. Helen was a current, active member of the Wynantskill Seniors, and the Eastside Seniors. 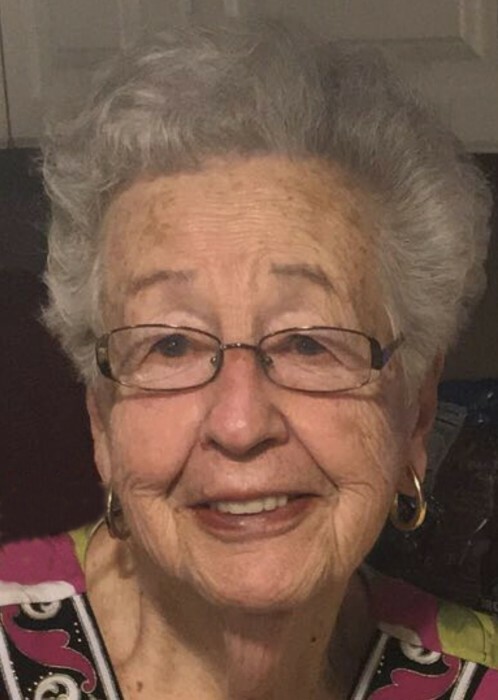 She would plan and coordinate many excursions, including her favorite yearly trip to Wildwood, NJ, where she would have a blast with all of her friends, especially her very best friend, Dottie Pennisi. Relatives and friends may call at the Bryce Funeral Home, Inc. 276 Pawling Avenue Troy on Sunday, March 31, 2019 from 3 - 6 PM. Funeral service will be held Monday, at 10 AM at the funeral home and at 10:30 AM at St. Jude the Apostle Church in Wynantskill where a Mass of Christian Burial will be celebrated by Rev. Anthony Ligato, Pastor. Interment will be in Gerald B.H. Solomon Saratoga National Cemetery Schuylerville.